Don’t venture out past these signs! Polar bears might be ahead. 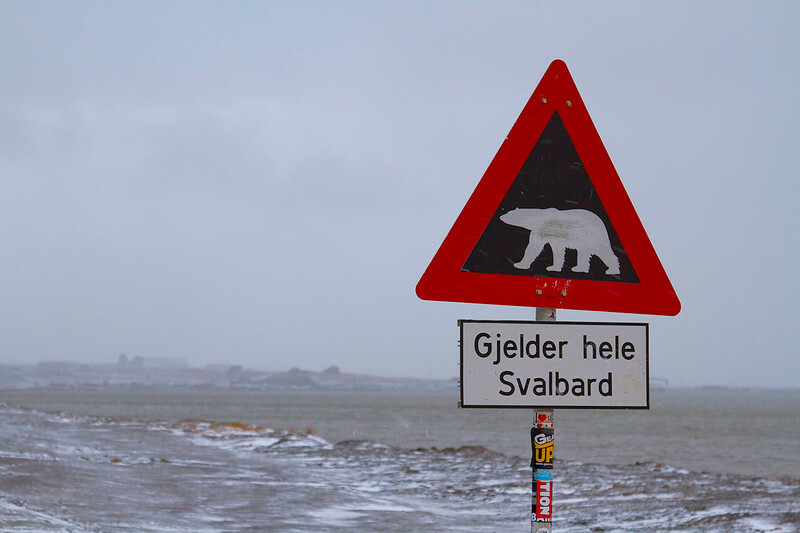 Svalbard is one of the most fun and fascinating places you can travel to. Not only because it’s an arctic desert (so cool!) 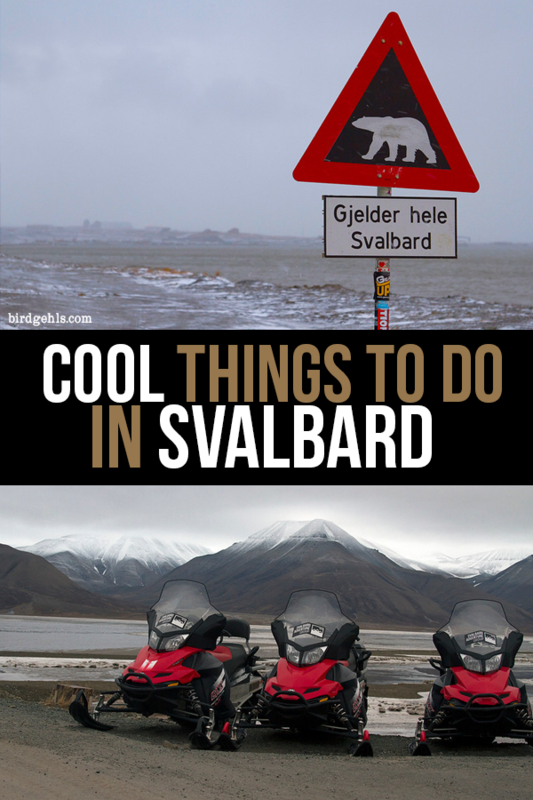 there’s a wide array of things to do in Svalbard, no matter what your interest. I loved every moment I spent on this remote archipelago and am constantly planning and scheming of ways to return one day. 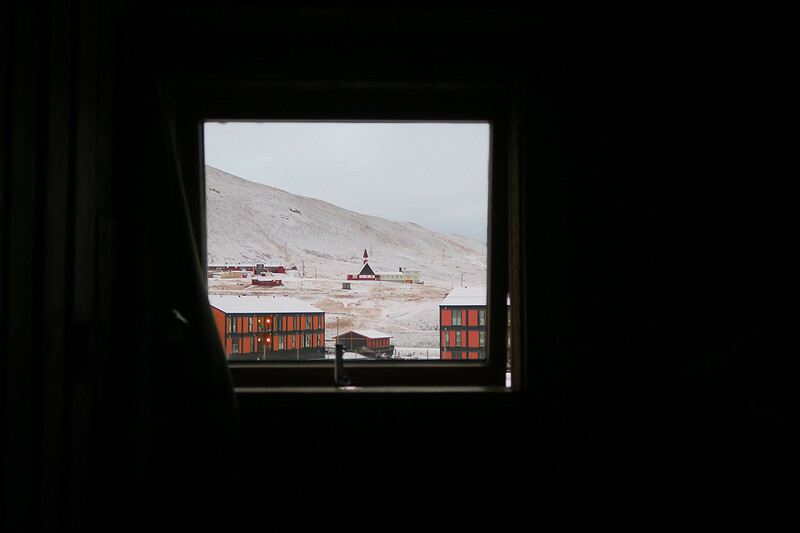 I’m still impressed with how much we managed to squeeze into the limited time we were staying in Longyearbyen – every moment felt like an adventure. Much of this list features ideal things to do in Svalbard in October, as that’s when I visited the archipelago. 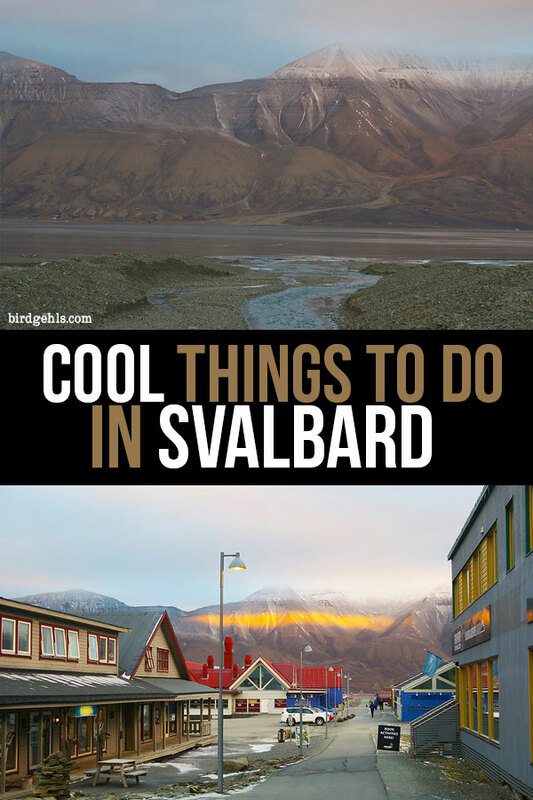 Yet, many of the activities are available all year around (I’ve stated if otherwise) and some are easy to do if you’re visiting Svalbard on a budget. Dogs ready to go out for a run. This was definitely the thing I was most keen to do, as I love dogs and had never been sledding before. Unfortunately, when it came time to go, there wasn’t enough snow for us to sled (it had rained for the past few days, something which we were told rarely happens in this arctic desert). Instead we went dog karting, I suppose, being pulled along by some enthusiastic puppers to take in the views of the outskirts of Longyearbyen. I understand that some people have concerns about dog-sledding in relation to animal welfare. I share these concerns, but the dogs were very well-cared for. The guide knew them all by name and told us that they regularly rotated the dogs, so that every animal got a run every couple of days. No pressure was put on the animals and he was sure to stop regularly to give them breaks and water. The dogs in return were lovely creatures, friendly and available for pats and cuddles! 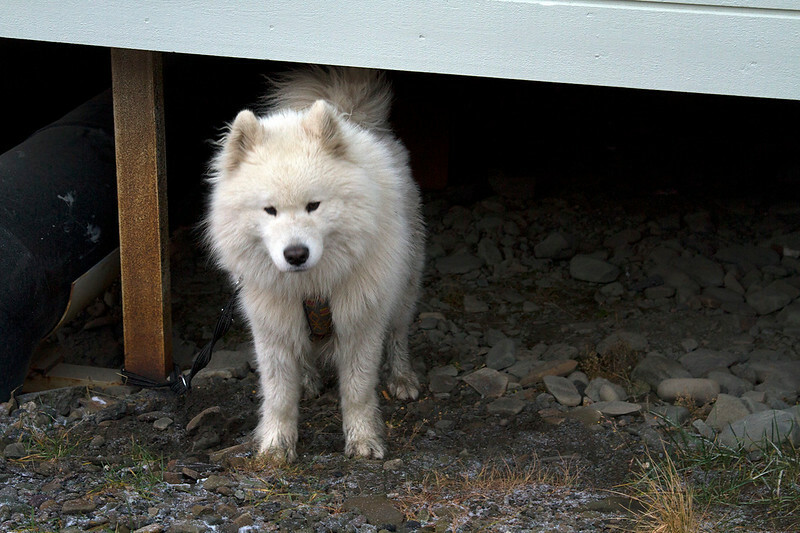 Longyearbyen is home to many dogs – I felt like everywhere I turned in the town, I was surrounded by man’s favourite four legged friend. You do apparently need a permit to own a dog, but it seemed that many inhabitants of the town hadn’t had any trouble procuring one. Interestingly, cats are banned from Longyearbyen. This is because they’re an invasive and violent species and there are concerns for what cats would do to the local wildlife, which mainly consists of birds. Weirdly, you can bring aquarium fish, rabbits and hamsters onto the island, with no permit needed. No northern lights or polar bears for us, unfortunately. Svalbard isn’t the best place to go to see the northern lights – you’d probably have a better chance of catching them in northern Norway or Iceland (where I have seen them, twice). We didn’t see them, which was a pity. However, there is a chance that they’ll make an appearance, particularly during the winter time when the entire island is bathed in a darkness otherwise known as the Polar Night. Seeing reindeer in the wild was pretty cool. Boat rides are readily available during the summertime, when there is light, it’s slightly warmer and the weather is calmer. A boat ride will provide you with an easy option of visiting sights outside of Longyearbyen, such as Isfjord radio station, the Russian mining settlement of Barentsburg and the town of Pyramiden. Taking a boat trip into the fjords will also allow you the option of seeing some of Svalbard’s wildlife – walruses, wales, birds, reindeer, arctic foxes and if you’re extremely lucky, polar bears! Pyramiden is an old, abandoned Russian town north of Longyearbyen, deserted in 1998. It’s pretty hard to reach in the winter but during summer boats stop at its shores, allowing tourists to get out and explore. Curious? Flora the Explorer has written an excellent post on what it’s like to visit Pyramiden. The town plays host to the northernmost swimming pool in the world, as well as a statue of Lenin, in a nod to its Soviet background. If you want to spend a couple of days exploring the town and its surrounds, you can stay in the Hotel Tulpan, which is open during the summer months. 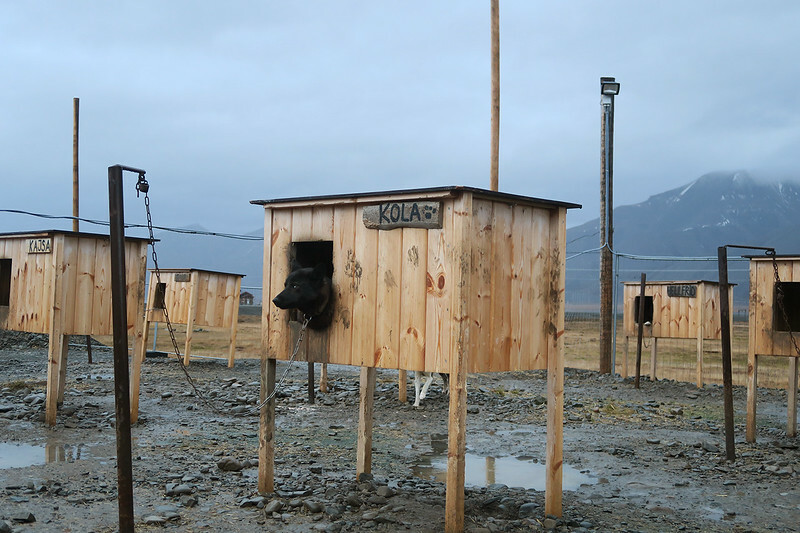 Here are some other accommodation options for your trip to Svalbard. The city limits to the east. Hiking is a popular past time in Svalbard during the summer months. 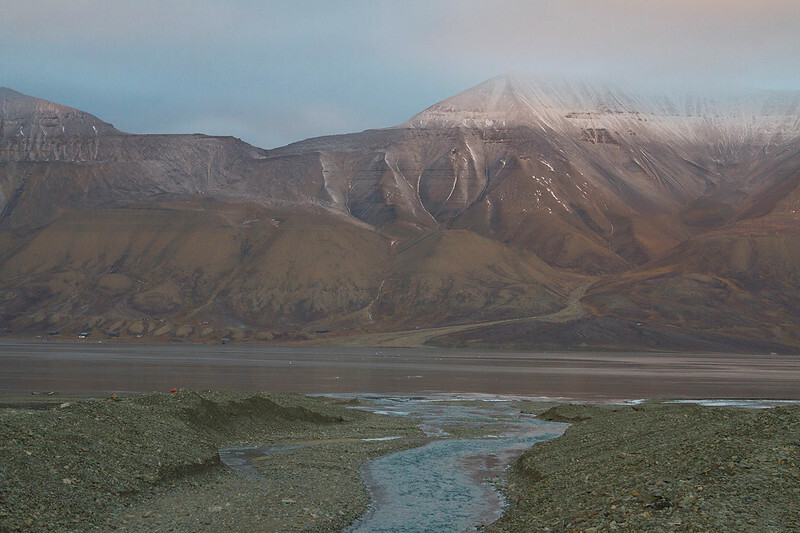 The town of Longyearbyen is surrounded by mountains that you’re able to explore. There are a range of hikes available for people of all fitness levels. They make for excellent opportunities for photography and you can go fossil hunting too – the area is filled plant fossils, some of which are 60-million years old. You’re permitted to take them home as a souvenir! Please note: It is illegal to walk outside the city limits of Longyearbyen without someone who is in possession of a gun and the knowledge of how to use it. This is due to the threat of polar bear attack. There are 3,000 bears living in this northern archipelago and they have been known to attack humans in the past. So, don’t go wondering off on your own! In the wintertime, conditions may be right to go snowshoeing. There are plenty of options available – you can walk across a glacier, go on an expedition to see the northern lights or visit an ice cave. These all sound like pretty enjoyable activities to me! If you’re more nautically inclined, then a good kayak might be in order. There are plenty of options to take up – short kayak tours, or multi-day journeys. During some, you will stop for a guided tour, or a mountain hike. Great way to stretch the legs after being cooped up in the kayak for hours on end. An activity for the warmer months, here are some options worth considering. I personally love eating, particularly Nordic dishes (big seafood lover right here), so I’m a bit bummed that we didn’t get to dine at Huset in Longyearbyen. Many ingredients are sourced locally, from Svalbard and the Arctic and they have a Nordic themed tasting plate on offer. I would like all the food items in my belly, now please. As close as we got to the Global Seed Vault. Sigh. 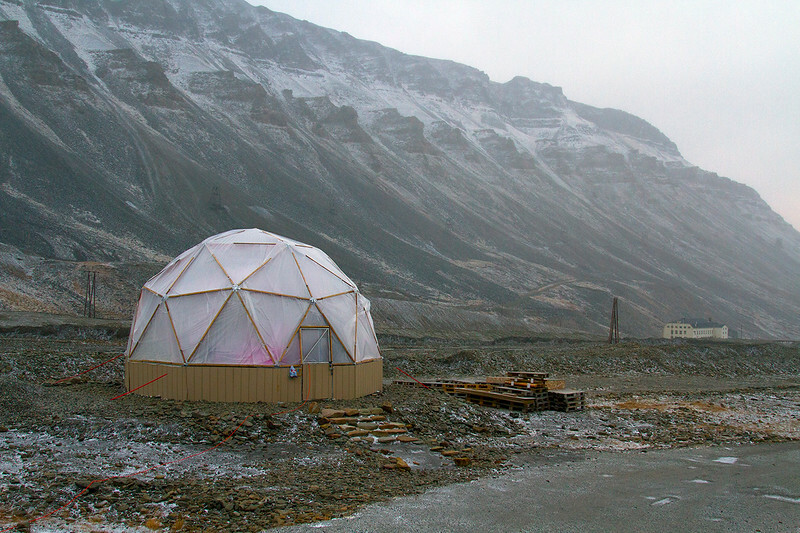 In this remote archipelago is one of the world’s 1750 seed banks. These act as insurance for humanity, housing seed collections, should we by struck by some environmental disaster or famine, which would wipe out crops. You can’t actually enter the seed bank, but you can go right up close to it (if you’re lucky, we were unable to as there’d be a leakage due to the aforementioned rain!). This is worth doing, as it’s quite a beautiful structure. The entryway is a design by Norwegian artist Dyveke Sanne, called Perpetual Repercussion. The roof and the vault entrance are filled with mirrors and highly reflective stainless steel, which reflects the perpetual light in the summer months (the choice of name is starting to make sense now). In the wintertime during the polar night, 200 fibre-optic cables light the piece a greenish-turquoise and it looks just a little bit pretty. We did a tour which took us to the Arctic Greenhouse, where we learnt about the hurdles local scientists and chefs are trying to overcome in regards to handling food waste and growing produce locally. Svalbard’s issues are pretty unique (dealing with permafrost, lack of light in winter, etc) and it is all hugely fascinating. 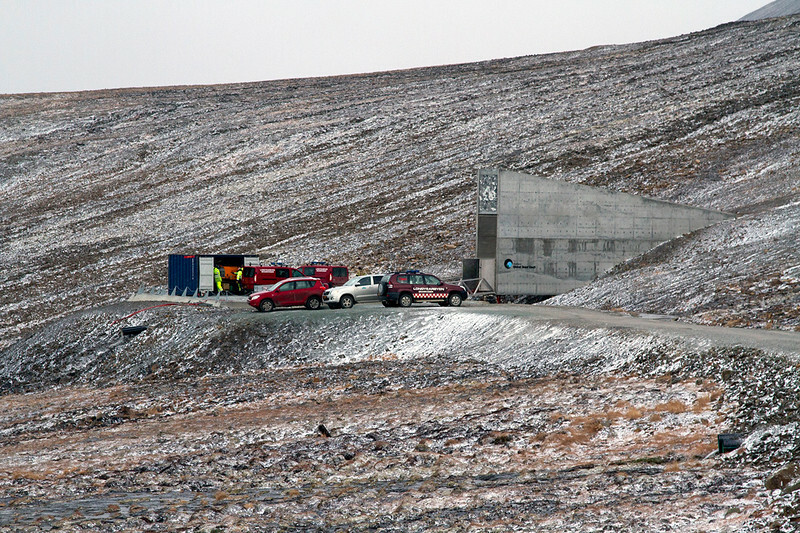 I wrote an entire post about the Global Seed Vault, which is worth a look if you fancy further reading on the subject. 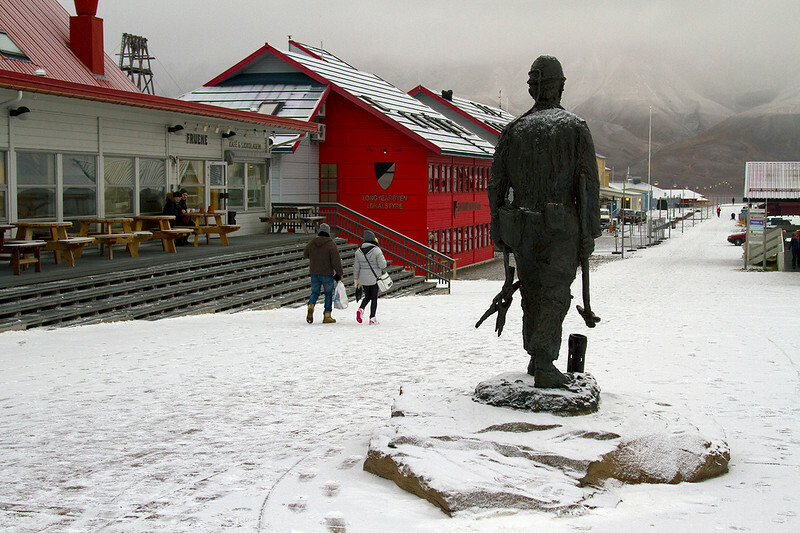 Mining culture has its place in Svalbard’s history. 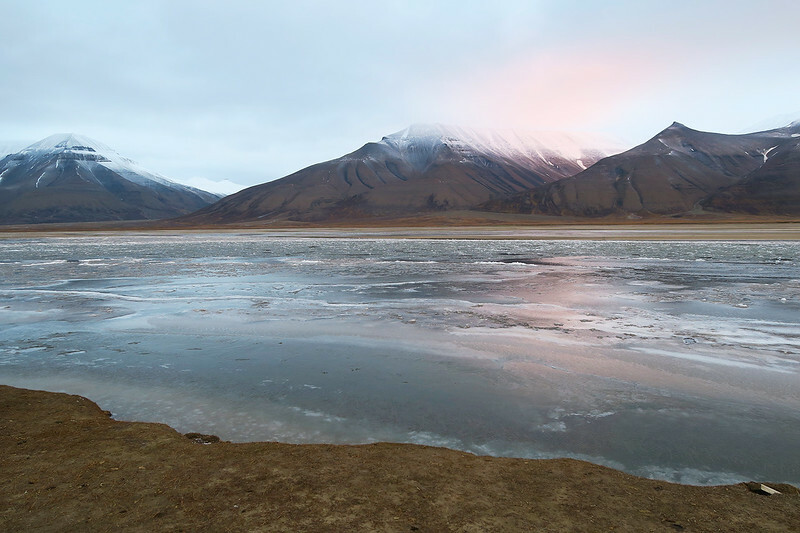 Longyearbyen contains the northernmost university in the world, where many go to conduct studies in Arctic Biology, Arctic Geology, Arctic Geophysics, and Arctic Technology. 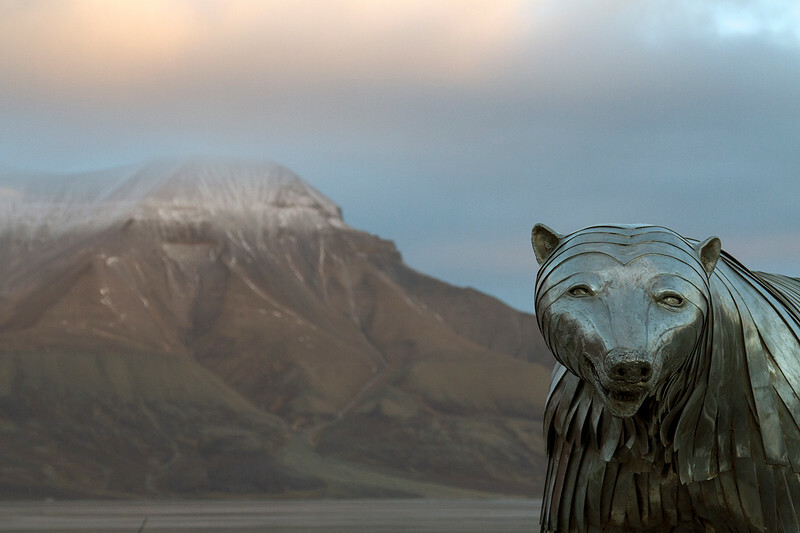 Within the University Centre in Svalbard, you’ll find the Svalbard Museum, which contains information and artefacts about the natural and cultural aspects of the region. It’s well worth a visit if you’re curious about both the natural and human history of the region and if you’re a fan of taxidermy, as there are many stuffed specimens housed here. Nothing like a cup of hot choc to warm you to the bones. Fruene is a café in Longyearbyen that is known as being the northernmost chocolate factory in the world. You can buy chocolate treats shaped like polar bears, or featuring designs that are meant to resemble glaciers or the northern lights. Or, you can grab a hot chocolate and warm up, after battling freezing temperatures outside. Although as a word of warning – it is really freaking hot in Fruene, especially compared to the temperatures outside. I found myself almost stripping down to my long johns to deal with the heat. I dislike being too hot and so found this aspect of the place a bit unpleasant! 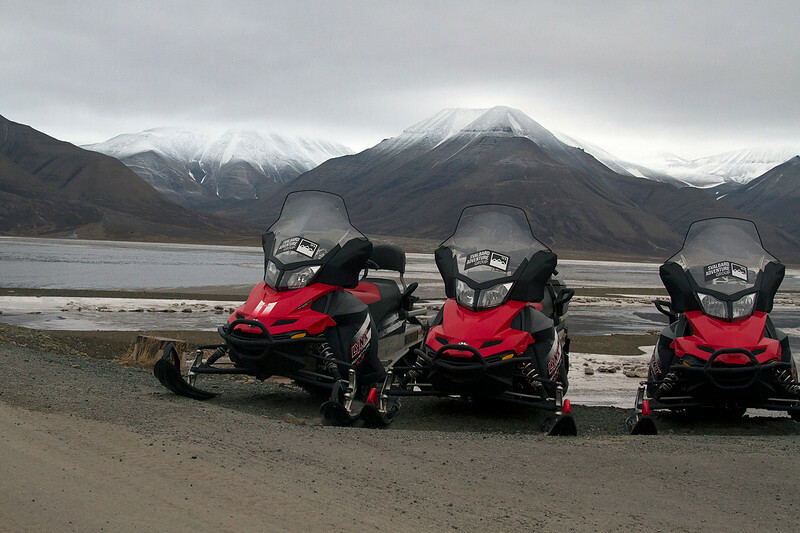 Snowmobiling is one of the best available Svalbard adventures and a fantastically fun activity! Most residents of Longyearbyen don’t have cars and opt to journey around on snowmobiles instead. Visitors can go on expeditions themselves, to see icebergs, old trapper’s huts and abandoned mines, look for Arctic wildlife and in some cases take the journey out to other settlements. Some still have people living and working in them. Others are ghost towns. Snowmobiling is an option all year around, but it naturally depends on the level of snow at your time of visit. Our vehicle of choice for the day. We missed out on snowmobiling due to the aforementioned rain and decided to go on an ATV tour instead. This consisted of us riding quad bikes to the old airport, then up the top of a mountain to check out one of the old mines dotted around Longyearbyen. The views were fantastic and I spotted my first reindeer! I would later go on to have a reindeer-based casserole for dinner that night and feel weird about the whole experience. ATV-ing is certainly fun, although my travel-partner (who is also Australian) and I found it quite daunting to ride the bikes on ice. Everyone else who was with us was non-plussed about this experience, but I’m sure they were far more used to dealing with these kinds of conditions than we were! Or enjoy hour long sunsets! 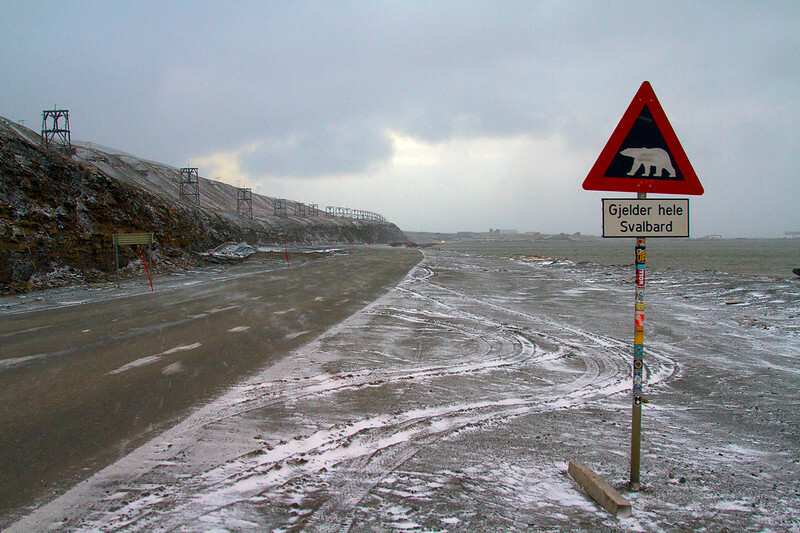 Svalbard is a land of extremes, in many ways. Due to its location up the very top of the planet, the sun doesn’t set during the summer months (late May-September) and does not make an appearance from around November to March. The winter season or Polar Night as it is known is “welcomed” in the most interesting manner – by a festival, known as the Dark Season Blues, held late October every year. It is, as you can probably guess, the northernmost blues festival in the world! Don’t discount spring or autumn for a trip, either. During the shoulder seasons, there is about six hours of sunlight and sunrise passes seamlessly into sunset. The colours are beautiful and light conditions were made ideal for photography! 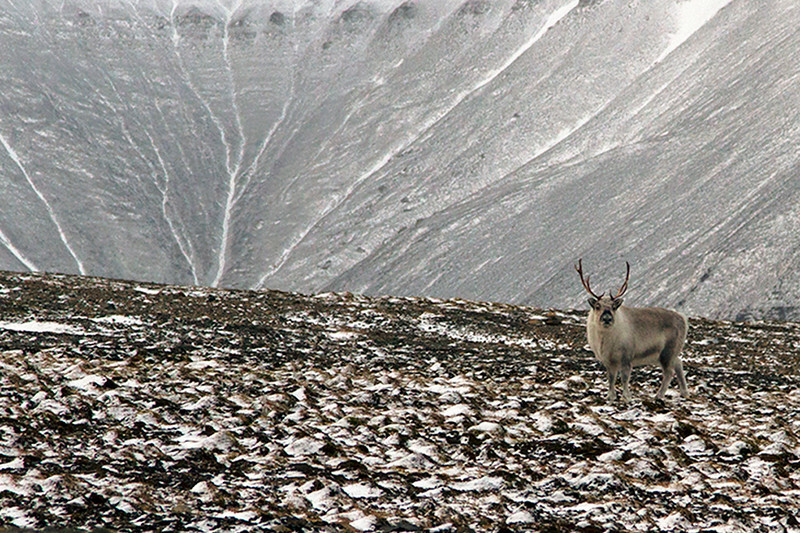 We found there were plenty of things to do in Svalbard in October. Longyearbyen is one of the most interesting towns I’ve ever stayed in. 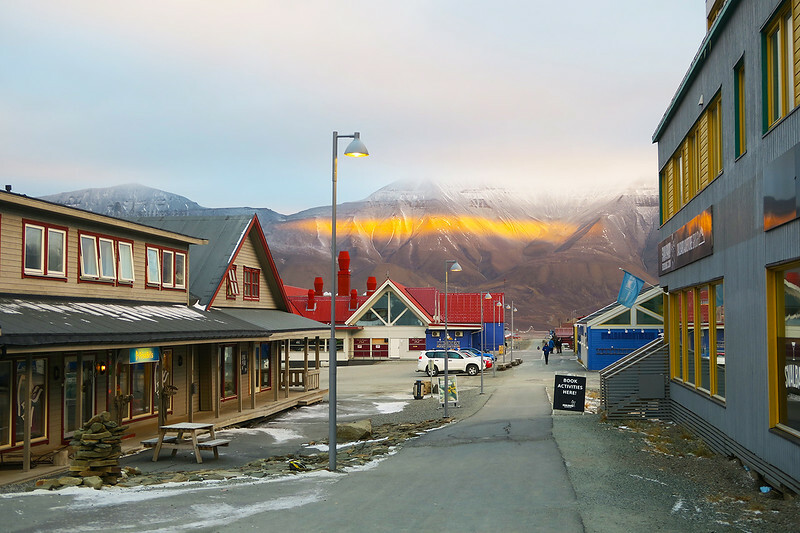 Finally, Longyearbyen is a truly interesting place to go shopping. 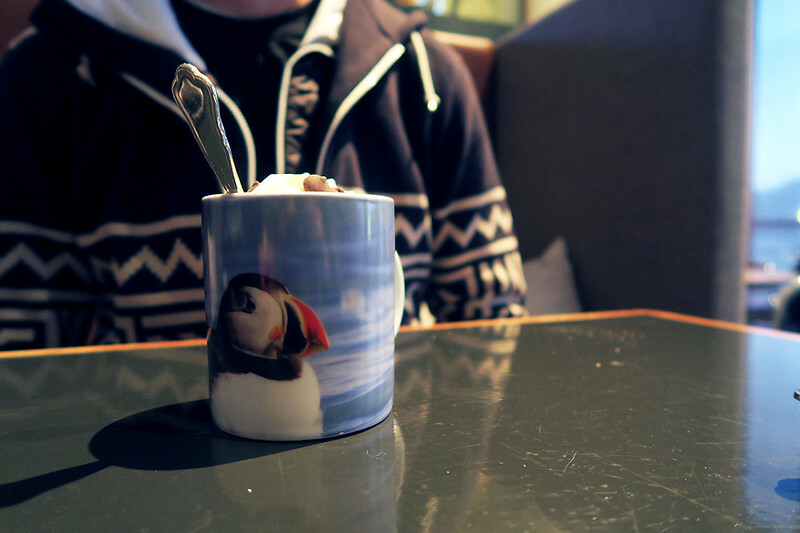 I probably spent way too much money on souvenirs – buying postcards, magnets, a beanie, a travel journal and a puffin mug for my Mum. Longyearbyen has a post office and I expect most friends or family members would get a real kick out of receiving a postcard from this part of the world. We also spent quite a few nights at the aptly named Svalbar Pub, drinking their stock of a delicious sparkling cider (whoops, but there wasn’t much to begin with) and eating reindeer pizza. My trip to Svalbard remains one of my favourites – I think about it often and can’t wait to return to see more of this remote and fascinating part of the globe. 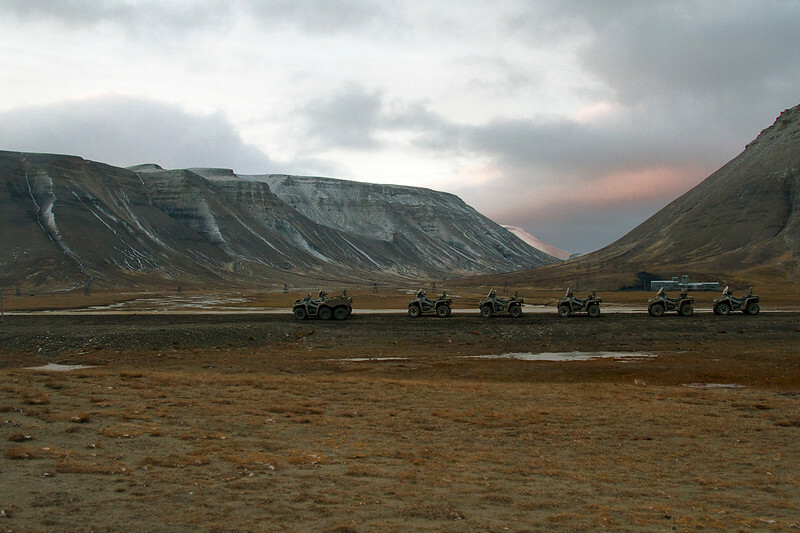 Have you been to Svalbard? What were some of your favourite things to do there?